A crisp wind whispered against the entrance of her den. Brown eyes flicked towards it- one glance telling her the moon was rising- and the other one telling her that it was too blurry to tell. It didn’t take long for her to adjust to the light to tell her the dawn patrols would be heading out soon. The herbs under her paws were almost done sorting- she supposed if there was a hunting patrol going out she could snag a small frog or something to eat. Eyes blinked, claws unsheathed to separate the herbs easily as she moved to sort them. It only took a little longer, the earth scents filling her nose as she cataloged what she had. She needed some more catmint at one point- but she wasn’t sure if the plants had grown back up from the last time she needed it. Sparrowpelt supposed some borage leaves weren’t too far off the list to get either. The leaves always were a rather strong smelling to her- she supposed that she could send some warriors out to find it. Borage Leaves, Catmint- she needed to make sure everything was as stocked as it could be- or at least able to be quickly found. She refused to let down ShadowClan- she refused! She would do the best possible- she would, she had to! Rosestar had to see that she was trying. Littleheart…taught her- she had to be capable. Storing the last bit of cobweb away in a dry spot- she stepped away from the store with a shaky sigh. 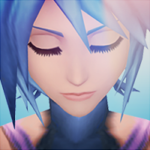 “Get a hold of yourself.” She muttered under her breath- feeling the cold edge into her words. Her fear wasn’t going to do anything for the clan- she hardly needed it convincing her otherwise. Taking a steady breath- she reminded herself that she had been medicine cat for a few moons- and nothing bad happened yet- and no one reprimanded her yet. 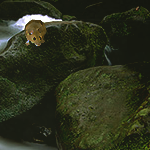 Nodding to herself, Sparrowpelt padded out from her den, blinking a few times to get adjusted to the early dawn light. Her steps were silent on the cool ground below her as her tail dusted behind her. The she-cat’s head twisted right- then left to use her good eye to spy any other felines in her direct vicinity. She almost paused in her step as she saw her leader. It was important for her to talk to tawny-furred leader, to keep up appearances and to befriend her. She never had a close relationship with Rosestar when she was a kit- and she was always under Littleheart’s feet that she didn’t even pay attention to her. Taking a breath, she padded up to the she-cat and stayed a mouselength away. “Rosestar, good morning. Sleep well?” It was a soft conversation starter- but a conversation starter none the less. She didn’t want to bother the she-cat if she was busy- but she would be too naïve to let the moment pass after all. It was easier to keep up a conversation with someone you knew after all. The dawn patrols had just been sent out-- along with a singular hunting patrol. Rosestar figured that with new-leaf setting in, the prey would be coming back, and perhaps the clan would have a little more to eat now than scraps of frogs. More importantly to the russet colored she-cat, ShadowClan would have less temptation to bring back crowfood or hunt rats from Carrionplace. Rosestar wrinkled her nose at the thought of the Twoleg dump... Such a place of squalor and disease. Her green eyes flicked around the camp, trying to get a sense of whether or not anything else needed attended to this morning-- there were a few warriors still in camp along with a couple apprentices that had not been assigned to a patrol and had yet to go training, and she also spotted Sparrowpelt reorganizing parts of her den. Rosestar never particularly played with Sparrowpelt too often when they were younger, always preferring the company of her sister, brother, and Iceclaw, not to mention she did not want to ever interrupt important Medicine Cat duties. Now, she knew she should find more time for Sparrowpelt, as the connection between clan leader and Medicine Cat was important. Rosestar padded over to the small tabby she-cat. "Good morning to you as well, Sparrowpelt. I slept well, could use a little less of this morning frost, but it will go away in time. How about you?" She curled her large, feathery tail around her paws as she looked around Sparrowpelt's den. "Reorganizing your herbs? I could always fetch an apprentice to help you if you need it. I know not everything is in bloom yet, though." IT was a problem, one that could not be solved by force but by time. It admittedly made Rosestar a little anxious-- what if the clan was struck with greencough and the catmint had not grown back yet? Sparrowpelt’s eyes flashed at the direction of the leader- her head turning and focusing her good eye on the moving she-cat. It was hard for her to generally tell how quick something was or turn her eye towards it- but she heard the steps before she saw Rosestar. She sat up a little straighter- her tail curling around her paws reflexively. It only took a moment for the words to register and she supposed that frost would make it rather painful and cold to hunt – but she always made sure to have extra moss to bury herself under. It was cold during snowfall- but she liked to be warm as she could be- while leaving extra moss for the elders. The elders seemed to enjoy the temperature lately so she had a bit more moss than she needed. She had the apprentice dig deeper holes to help buffer any wind that entered their den, and reinforced it with sticks and pine needles to help cushion the cold. She should voice some extra expansions on the nursery the closer it warmed up. They seemed to have booming lovers- so she would do her best to make sure the nursery was up to date and quite nice for the mothers and kits. 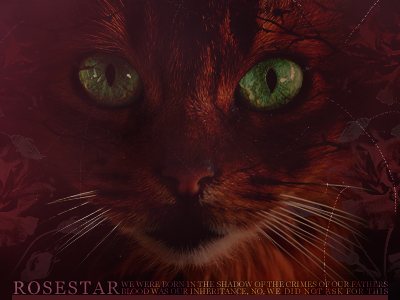 Would Rosestar be burdened by her choices though- that was unforeseen by the medicine cat. Sparrowpelt could only guess what she would want- but she would do everything she could to keep chill away and cough at bay. “As well as could be expected, I suppose. Thank you for asking.” The tabby dipped her head respectfully towards her leader with a friendly smile- or as best as she felt she could make one. “Yes, I’m trying to make sure we have a stock of everything we would need if we ran into any cough or quick wound. I wish to try to grow some more catnip by burying a few pieces. Littleheart said that if spring is good- it should take root and give us more stalks.” She paused. “Apprentices would be good for digging, I suppose- but it might be too early to break off any right now.” Sparrowpelt debated it- thinking they should use what they could to fight cough if need be. The she-cat’s head turned towards the store of herbs with a calculating look. “I have enough catmint for a few doses should any cat need it. It will not last long- but rest assured that if only one comes down with the blasted thing- I should be able to treat it easily enough.” Her ears flicked at the finished sentence as she turned her good eye back towards her tawny colored leader. “Do you think we’ll be running into more kits soon? I might take you up on your offer to get a few Borage Leaves to supplement the few ones I have.” Her voice trailed off before she realized she had rambled quite a bit. “Terribly sorry for rambling.” She bowed her head once more, hoping she didn’t offend the she-cat. Rosestar tucked her long tail around her paws as she sat, listening patiently to her medicine cat. To Rosestar, any leader that did not listen to the concerned voiced by their clan's medicine cat was a complete and utter fool, a mousebrain not worthy to lead the clan. She nodded, that made sense that the new plants hadn't had time to take root, and it had also been particularly wet lately... It would be best to find a place where the plants could not get over-watered. "Hm, yes, it might be too early to spare any extra apprentices. We have so few-- either they are brand new or are soon ready to move to the warriors den." Rosestar mused, thinking of her niece. "Speaking of new apprentices though, how is Crowpaw settling in?" Rosestar enjoyed checking on the warrior apprentices and she felt she should extend the same courtesy to Sparrowpelt's apprentice, even though this was a tutelage she couldn't really oversee. "Oh, I don't mind your rambling at all. It's important information." Rosestar mewed, happy to assist. "I believe Doverain should be kitting relatively soon. Which will be good, the clan needs some more kits." The lack of apprentices worried her... "A quest for borage leaves it is, then." Perhaps she could even get a bit of hunting in and bring something back for Doverain and her unborn kits as well as the current rambunctious few playing in the nursery. Sparrowpelt knew of every apprentice that was in their clan- as she had mostly seen them as kits when she helped them through the birthing process. However the elder ones who didn’t get into scrapes and idiotic kit-missions rarely made it in her den leaving a name and a pelt but rarely a personality or idea of who they actually were. Her ears flicked in thought as she listened to the leader before she blinked at the mention of her apprentice. Sparrowpelt held back the frown of uncertainty because she wasn’t sure she was being a good enough mentor but she nodded her head almost absently. “I hope he’s settling in alright. I don’t want to speak for him. I feel I would be a rude mentor if I did so.” She told the other cat. Rosestar always did command something in her- she wasn’t sure why. She supposed without her previous mentor’s assistance she felt like she was nothing but a mouse. Sparrowpelt gave a small smile at the reassurance- glad to think she could at least talk about clan things without boring her leader. Doverain- the image of a pelt flashed before her eyes- before she blinked. There were only few queens who already had their litter, Doverain being the only one currently that needed her attention. She hoped the kits in the nursery would soon become apprentices. “I wouldn’t mind going with whoever you send so we could carry a good amount back. There are quite a few kits- we might be able to snag some warming moss from the ground. 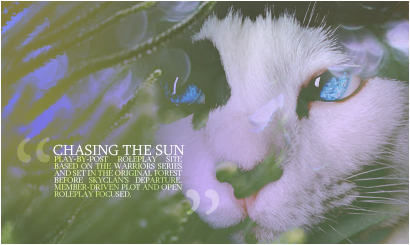 If we place it in the sun it’ll hopefully dry off.” Her eyes looked towards the rest of her den, wondering where Crowpaw was briefly before returning her eyes towards her leader. “Is there anything else I can do? I wish to be as useful as possible to the clan.” It almost hurt her to say that out-loud, but she supposed it couldn’t hurt to get a full answer. She didn’t want Rosestar to think she was slacking off or anything of the sort- and with a gathering coming up, she wanted to make sure that all the news was good where she could effect it. Rosestar curled her fluffy tail and looked at Sparrowpelt with patient green eyes. The fact that the tabby did not want to speak on behalf of Crowpaw was admirable, she already placed a lot of trust in his own opinions then, whatever they may be of her. "Oh, of course. You are a fine medicine cat though, Sparrowpelt. I'm sure he has good things to say..." You're not Nettleheart, Rosestar thought and almost let out an amused snort. Although she was on excellent terms with Magpiestar, the RiverClan medicine cat was always so mysterious to her, but she had heard about his particularly sharp tongue. Rosestar stood up to all four paws and nodded at the suggestion to get moss along with the borage leaves. "I won't send any of the apprentices-- most of them are all out on a hunting evaluation today. I'll go with you. It will be a while before they get back." The red she-cat meowed warmly. "You're very useful to the clan, I'm sure if I think of anything else I'll bring it up as we walk." There was a bit of a silence for a moment as she padded along before Rosestar spoke up, glancing up at the sky. "The sun is out today. That's good for our moss plan." Another slight pause. Sparrowpelt's introverted nature made her mysterious, although the thought on Rosestar's mind was more to do with their gaining of their ranks. "I know without Loudstar and Littleheart around things can be a little new and intimidating. It's sad that one followed right after the other, but I guess StarClan tied their fates." It was an attempt to not only make smalltalk, but confide. Rosestar was always of the opinion that no leader should disrespect their medicine cat, and she hoped to open up to Sparrowpelt with less professionalism and more camaraderie.